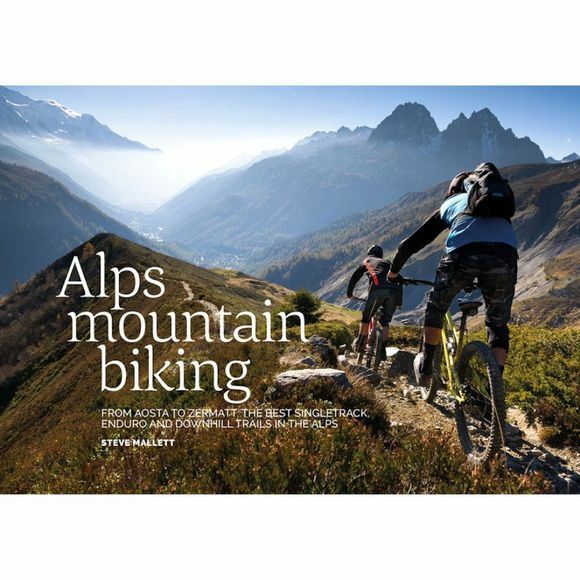 Alps Mountain Biking is a guide to the western Alps. It reveals epic rocky descents, high-altitude blasts and hidden Alpine singletrack, all set against a backdrop of snowy peaks, pine forests and clear blue skies. This is some of the greatest singletrack, enduro and downhill riding the mountains have to offer. Featuring the Alpine hot spots alongside the best lesser-known areas, you can ride the main lines of Morzine and Chamonix, and then escape the crowds and head to La Plagne, Martigny or Sauze d'Oulx. Using lifts, buses and good old pedal power, you can really exploit the massive vertical gains each area has to offer and enjoy trails that cater for every taste and ability. Alps Mountain Biking has everything you need to get out of the concrete resorts and plan a great riding trip. Written by Samoens-based guide Steve Mallett, it gives you the local riders' inside knowledge on trails, and information on accommodation, lifts and travel. Packed with fantastic photography, it is guaranteed to inspire you to get out and explore this huge mountain bike playground. Steve Mallett is the founder and guide of Bike-Alp, who run guided mountain bike holidays in the Grand Massif region of the French Alps. Steve is a Trail Cycle Leader (TCL) and Mountain Bike Leader (MBL) qualified guide who has ridden extensively throughout the Alpine region since calling it home over ten years ago. He lives with his wife Eleanor in Samoens, where they run Bike-Alp during the summer season, and Chalet Sougey, a ski lodge during the winter season.